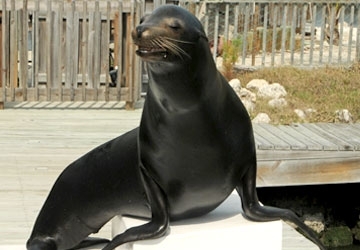 My Story: Kilo is a handsome, intelligent sea lion and he loves to learn. In addition to standard behaviors, Kilo also understands concept behaviors and is accomplished at research tasks. 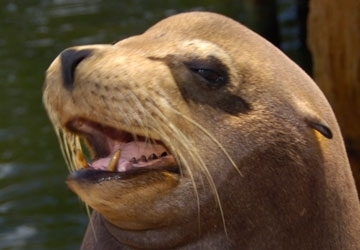 He understands both verbal and hand cues, so he is both watching and listening to you! 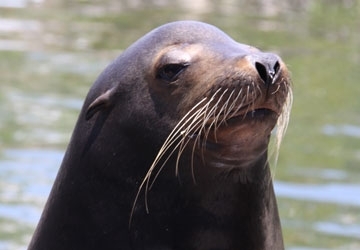 The largest of our sea lions, he enjoys cruising his lagoon, sunning himself and barking his admiration to his harem, Karen and Lina.